The introduction of sliding patio UPVC doors has dominated the market and became the hot favourite pick among UK homeowners. The installation of these doors allows natural light in your living space and at the same time add stylish look to your home. 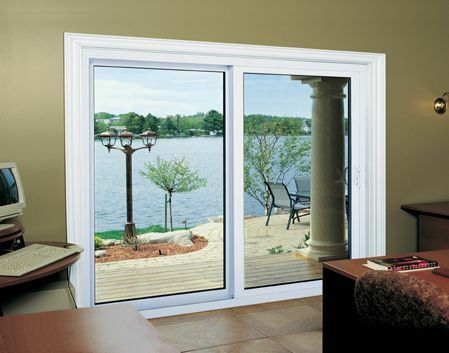 The superior quality of weatherproof and secure UPVC sliding doors ensures longevity and durability. Making use of UPVC door quality products let the homeowner to enhance the home lifestyle in neighbourhood. With a decorative pair of UPVC door in the living room, one can transform outdoors and indoors at once. The outstanding sliding doors need little maintenance thereby keeping all cleaning tasks to minimal for the homeowners. The UPVC doors add long lasting visual appeal to the home making it an attractive and elegant addition to your living space. The design embellishments in UPVC door make them appropriate individually as per your preferences and home décor. The sliders work on a ‘ride over’ mechanism. Result: The track on which the sash slides is raised slightly above the ground, preventing dust from settling in the track. The dust-free track ensures a far smoother sliding motion when compared to conventional sliders. All door that require mesh. Space-economy as the sashes slide and do not open inwards. Integrated bug screen solution that can be removed for cleaning. Thick strip of wool pile between all sashes keeps pollutants and insects out. Anti Lift Locks ensure that sliding panels cannot be lifted or tampered with from the outside. Interlocks between all panels ensure complete sealing from dust and other pollutants. Multi track adapter creates additional tracks with sliding and fixed options to cover large spans. Two movable sliding tracks that slide in opposite directions. Provides 50% opening at any given time. Retro fit fly mesh can be fitted on an additional track. The mesh slides towards the sash that is opened. Mesh has to be added at the time of specification. Track cannot be welded once the window is fabricated. Windows that require good sound insulation and space economy. All windows that require mesh.